Services for children ages three to 18, and in some cases to age 21. 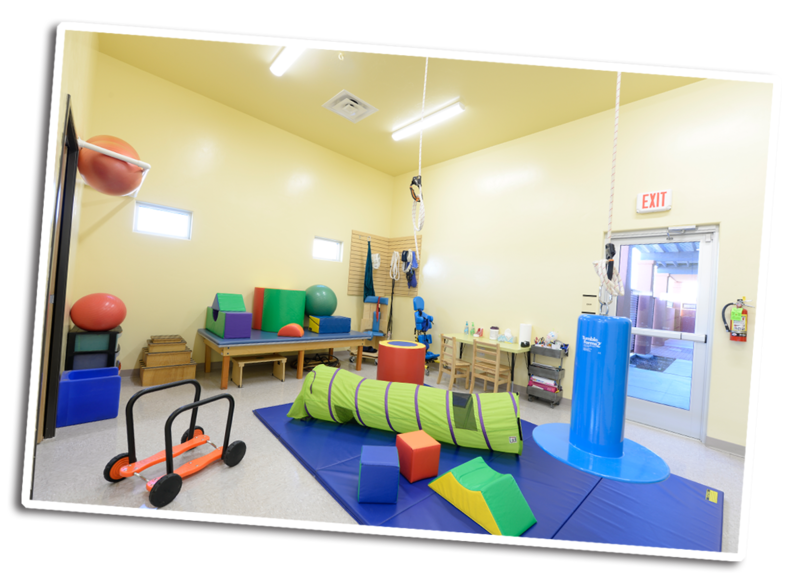 We offer services in speech and language therapy, occupational therapy and physical therapy. 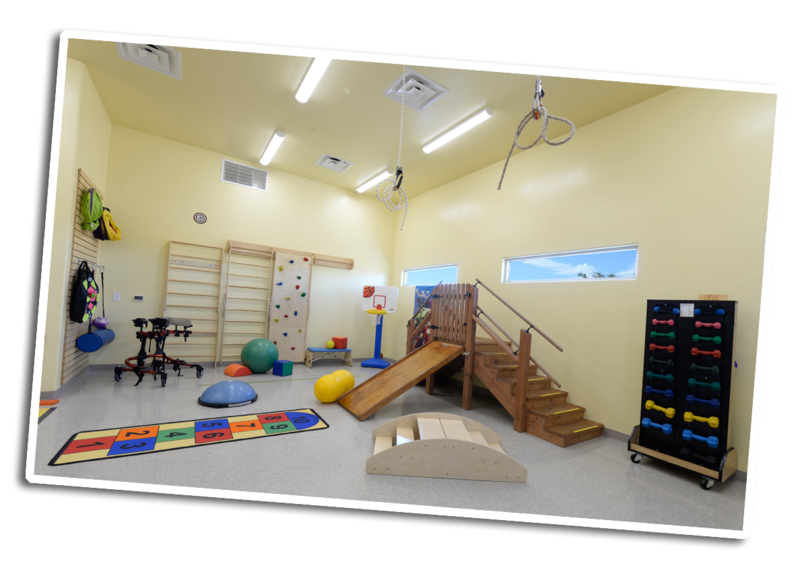 We offer sensory based activities in a state-of-the-art setting to help your child improve motor development, behavior and learning through organizing sensation. How do I refer my child? Your child can get a referral from a pediatrician, neurologist, family physician, and/or nurse practitioner. We have a convenient referral form on our website for physician and medical practice offices to complete the referral. Simply clicking here. Your child will receive an evaluation to help our team determine how to best serve your child. We also accept all Medicaid or Centennial Health plans and many other private insurances. For your convenience you can complete an intake packet before your child’s first appointment with us. You can pick up a blank packet at either of our offices or click the links below to print. Please bring the completed packet with you to your child’s first appointment with us. Speech-Language Pathologists (SLPs), or Speech Therapists are professionals that have studied child development and communication and a variety of disorders that may impact communication. They are knowledgeable in swallowing and feeding disorders as well and can help improve a child’s quality of life by improving their oral motor skills for feeding. They hold a Master’s degree in the field as well as state and national licensure and certification. Certified Speech-Language Pathologists provide assessments, treatment, and education in a variety of areas. Speech therapy may include treatment focusing on articulation, language delays, traumatic brain injury, autism spectrum disorder, feeding and oral motor dysfunction, disfluency, and voice disorders. An evaluation of your child’s strengths and weaknesses will be conducted to identify any areas of need. 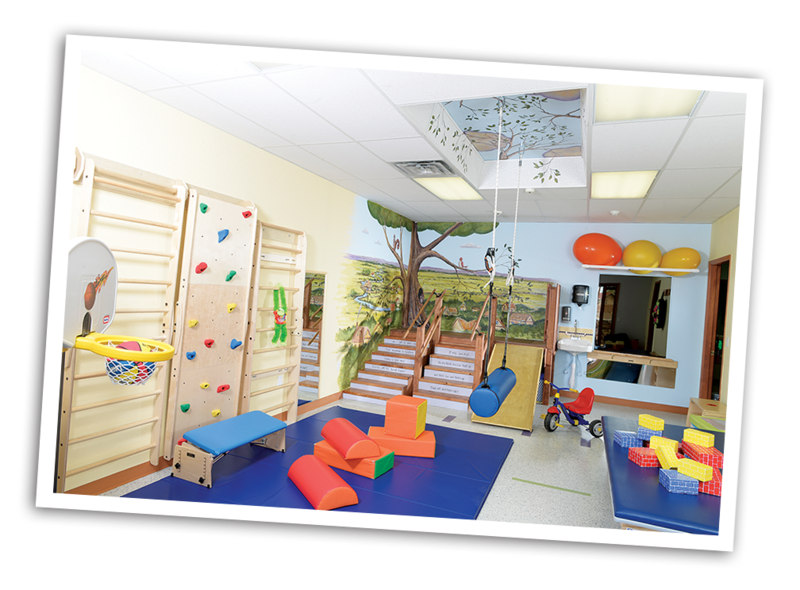 The evaluation takes place in a room comfortable for your child to interact with the therapist in, while you observe through the two-way mirrors. Once you child has been evaluated, a certified Speech-Language Pathologist will create a treatment plan specific to your child in order to focus on improving any areas of need. Your child’s speech therapy session may include techniques to help increase their language skills, improve their articulation of specific speech sounds, improve their social communication skills, or aid in the development of appropriate feeding and oral motor skills needed to grow and develop. A child’s speech and language skills are important in developing their self-esteem. Speech therapy will not only improve your child’s speech and language skills, but will improve their self esteem and increase their willingness to socialize in their world. Occupational therapy focuses on facilitating a child’s functional abilities in the areas of Self –Care skills (ADLs), Fine motor skills, Neuromusculoskeletal deficits, Sensory Integration and processing difficulties, visual motor and visual perceptual skills as they relate to performance in the home, school, play, and community environments. Delays in fine motor and visual motor skills directly affecting academic performance. Physical therapy provides a wide range of services including functional and developmental assessments and treatment, mobility training, therapeutic exercises, ambulation training, and indicated treatment for certain orthopedic conditions. We offer individualized one to one treatment sessions. A Licensed Physical Therapist will evaluate and treat patients through clinical observation and assessment, standardized testing when appropriate, therapeutic exercise and developmental treatment to aid in recovery and increasing independence. After a comprehensive evaluation, the child and family are provided with therapeutic treatment, education, and/or support to allow for the child’s highest level of function to be attained. A care plan is developed using treatment techniques that promote optimal health and overall fitness, restores and improves the body’s function and movement, and limits disabilities resulting from injury or disease. The Physical Therapy Team works diligently to provide the highest quality of care to all children and their families. Services delivered are family-centered, culturally sensitive, and age appropriate when indicated. The Physical Therapy Team focuses on Gross Motor Skills (sitting, crawling, walking, running, climbing, standing balance, etc.) and integrating them into the child’s daily life so that the highest level of function and independence can be attained. The Physical Therapy Team can also assist with equipment prescription as needed for adaptive equipment as well as foot and leg orthotics. Certain conditions are able to be seen at Esperanza Clinic depending on needs of the client. Please call to discuss each case with Clinic Staff and determine if the client’s needs can be met adequately. Other conditions may also benefit from a referral for Physical Therapy. Please call to discuss with Clinic Staff or send a referral and Clinic Staff will review and follow up with family and referring provider.